An Ohio manufacturer of cast steel freight components is facing more than $610,000 in penalties after Occupational Safety and Health Administration (OSHA) investigators found workers at the facility exposed to machine hazards and silica. 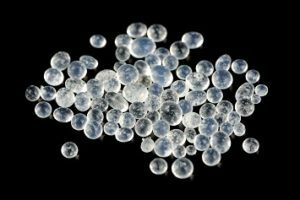 OSHA found, in part, that the company failed to implement engineering controls to lower exposure to silica. In addition to the fine, the company was thrown into OSHA’s Severe Violator Program. Despite a stated aversion to regulations and enforcement on the part of the Trump administration, the Occupational Safety and Health Administration (OSHA) is forging ahead with enforcement of the silica standard and has provided guidance for small businesses concerning the new respirable crystalline silica standard. We will look at the new silica standard as it applies to general industry and maritime workplaces. We will focus on the requirements for a written exposure control plan and employee training. Develop a written exposure control plan, offer medical exams to highly exposed workers, and train workers on silica risks and how to limit exposures. Providing flexibility to help employers—especially small businesses—protect workers from silica exposure. The final silica rule took effect on June 23, 2016. Companies in general industry must comply with most components of the new standard by June 23, 2018. According to OSHA, over 75,000 workers in general industry and maritime workplaces are exposed to respirable crystalline silica. Sandblasting is probably the most hazardous of all occupations for silica dust exposure, but workers in mining, masonry, and construction are also at high risk. Workers who manufacture cement or asphalt pavement, abrasives, glass, soaps, and detergents as well as those using jackhammers and cutting or tunneling concrete, stone, or brick are also at risk for silica exposure. All employers covered by the general industry and maritime standard must develop and implement a written exposure control plan. Written exposure control plans describe workplace exposures and ways to reduce those exposures, such as engineering controls, work practices, and housekeeping methods. For each task that employees perform, employers must describe types of controls used. Pneumatic conveyor systems that are enclosed and maintained at negative pressure. Water is misted onto sand before it is mixed in batch operations. Checking that connections between rail cars or trucks and storage silos are effectively sealed before transferring sand. Applying water mist to sand before batch operations. Checking to make sure sand is not released from any point of the pneumatic transfer system. Having a supervisor or engineer inspect the system if sand is being released. Inspecting weekly enclosures and seals on the pneumatic transfer system for damage. Measuring daily the pressure in the pneumatic system. Using the central vacuum system for cleaning. Using a HEPA-filtered vacuum for cleaning spills. Check tomorrow’s Advisor for training tips for the new respirable crystalline silica rule for general industry workplaces.